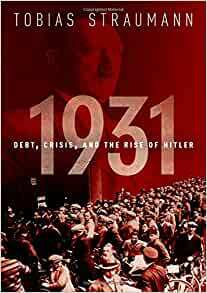 Start reading 1931: Debt, Crisis, and the Rise of Hitler on your Kindle in under a minute. Tobias Straumann is an Associate Professor of Economic History at the University of Zurich. He is a member of the European Historical Economics Society and the academic council of the European Association for Banking and Financial History. Straumann has widely published in the area of twentieth-century European financial and monetary history, and is the author of Fixed Ideas of Money: Small States and Exchange Rate Regimes in Twentieth-Century Europe (Cambridge University Press, 2010), and co-author of The Value of Risk: Swiss Re and the History of Reinsurance (Oxford University Press, 2013). A handy vade mecum for navigating the worlds of Trump, Brexit and the "Wizards of ERG".